Our fundamental view remains optimistic as we head into the final few weeks of the year. Overall, the growth thesis for the United States remains intact and the bout of volatility seen in October failed to produce any meaningful lasting drags or impediments to growth. With the Dow nearing 18K and the S&P 500 nearing 2100, the improvement in the outlook for the U.S. economy and earnings growth is clearly well recognized. Earnings growth for the third quarter will come in very close to 8% over last year’s results. 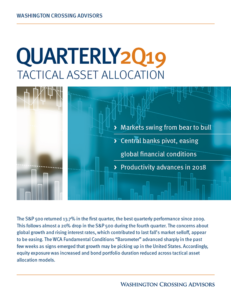 As with the second quarter, the third quarter growth nearly doubled the expected performance at the start of the earnings season. Although the market is at record highs, the strength of S&P 500 earnings provides some fundamental support (along with low bond yields). According to FactSet, earnings for the S&P 500 are forecast to be $128.57 over the next 12 months. With the index near 1,250, the forward multiple is 16 times that estimate. That multiple is not a particularly high in comparison with recent history. While it is higher than the 5-year average of 13.5 times and the 10-year average of 14.1 times, it is roughly in line with the 15-year average of 16.2 times. While not cheap, today’s multiple is closer to reasonable than peak multiples seen at the end of the 1990s, for example, when we saw earnings multiples near 30 times. 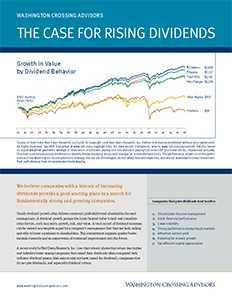 A combination of continued high levels of profitability, ongoing evidence of growth in the domestic economy, and continued low interest rates to compete against returns on equity capital, the path of least resistance for equities is higher. We continue to monitor changes in the data, but so far have not seen any significant deterioration in the broad set of market based and macroeconomic variables we monitor. Our WCA Fundamental Conditions Barometer remains above 50 ̶ suggesting growth. This week we will get an update on U.S. GDP growth for the third quarter (expected 3.3% growth), a look at durable goods orders (+0.4% expected), and personal income (+0.4% expected) and spending (+0.3% expected).